Thank you for shopping with Zoom Buggy. Here is our Return Policy. You must initiate a return request within 14 days of delivery and the return must be postmarked within 30 days of delivery for a 1. repair, 2. replacement or 3. refund in that order (shipping and handling is non-refundable, and buyer is responsible for return shipping cost, unless we made an error). If a new and unused item is returned opened, we may deduct a 15% restocking fee from your refund. Used items are non-refundable. If an item is returned but is not in its original condition, is damaged or missing parts for reasons not due to our error, we may deduct up to 50% of item’s price from your refund, or we may reject your return. 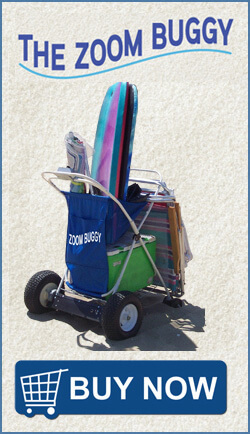 To initiate a return, please email sales@zoom-buggy.com to obtain Return Merchandise Authorization (RMA). Returns Without RMA will not be accepted. Please email sales@zoom-buggy.com to obtain an RMA (Return Merchandise Authorization) Number. Seal the package securely using the original shipping box, if possible, to prevent damage in transit. For your protection, we recommend you use a traceable shipping carrier (e.g. UPS). UPS is our preferred carrier of choice. Be sure to insure your package and retain the receipt. Send the package back to the address of our return processing center as provided by our Customer Service Team.